Said to be used by Cleopatra on a daily basis as part of her beauty regime, aloe vera has also been relied on for centuries for its healing properties. 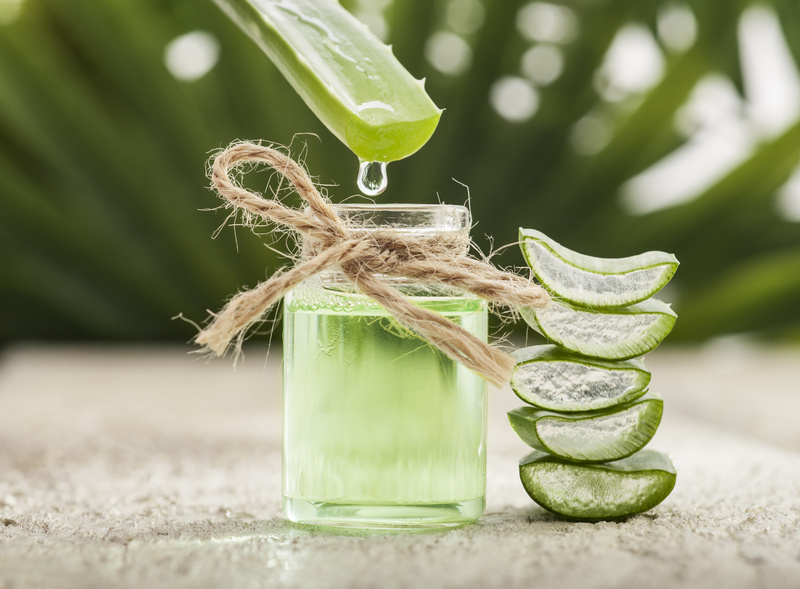 Also known as the “burn plant,” “lily of the desert” or the “wonder plant,” aloe vera is not only wonderful for relieving burns but it is also an amazing botanical you can add to your beauty routine to help promote naturally healthy skin. Of the 22 required human amino acids, aloe has 20. 7 of them are part of the 8 essential amino acids our bodies don’t produce. When it comes to vitamins and minerals, aloe offers A, C, and E, the trifecta of antioxidants that improve skin quality by combating oxidative stress and promoting cell renewal. Aloe also has a host of B vitamins which promote healthier hair, and minerals like selenium which can protect against wrinkles. It also contains copper, which promotes skin elasticity. Medical studies have shown that aloe enhances the body’s production of hyaluronic acid, a natural lubricant that allows skin to hold more moisture and appear smoother. 4. Aloe Increases Collagen Development. Glycoproteins in aloe can reduce topical redness and inflammation. …meaning not only will aloe help heal skin irritation, but it can help prevent occurrences of acne and eczema. Enjoy fresh aloe gel from the leaf of an aloe plant, or pick up 100% aloe vera gel from your local natural food store.